The CISF said they are absolutely clear on their policy of not allowing passengers who consume alcohol to board the Delhi Metro. CISF plans to avoid drunk passengers to get onboard the Delhi Metro. 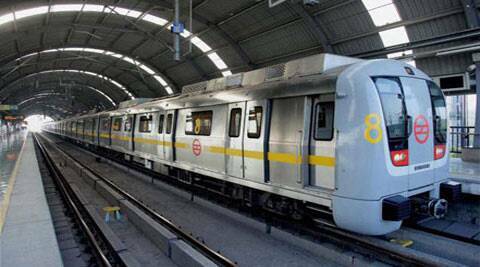 CISF today made it clear that it will not allow drunk passengers who are “totally out of their senses” to travel in Delhi Metro trains. While rejecting suggestions that by refusing absolutely drunk passengers on the Metro, it was encouraging drunken driving, CISF chief Arvind Ranjan said commuters, who have an aid or a friend with them or who are “moderately or safely drunk” will not be restricted from travelling in Delhi Metro. to their co-passengers,” Ranjan said when asked by reporters to spell out the forces’ policy on the subject. be the norm in the future too, he said. “Our personnel are trained in passenger profiling and once they decide that a drunk passenger is safe to travel in Delhi Metro, he or she is always allowed to proceed further after security checks,” he said. drunken driving, which is not only a threat to themselves but also people travelling on road.